These are a couple of posters which were shown to the archive. We do not have any further information on the putting green, but pictures of the gathering, pre-war and post-war can be seen in the gallery section, as well as more modern pictures. Quite a few memories in the oral history section talk about the gathering. 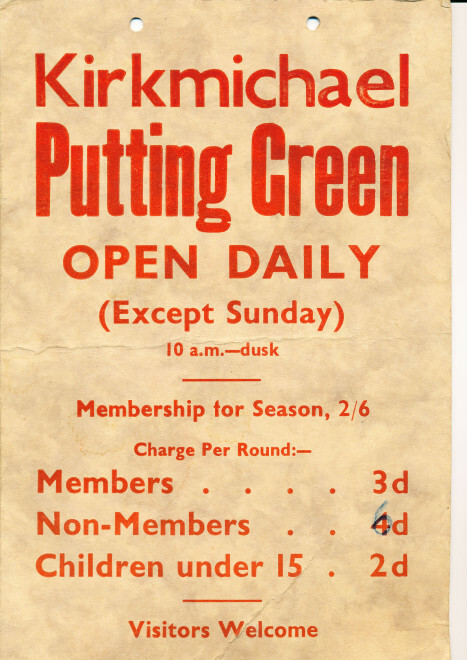 Kirkmichael Putting Green was located in Bannerfield where the car park is now but covering a larger area down the side of the river. The greenkeeper’s shed and ticket office sat where the recycling area is now. The 18 hole green which was fairly challenging with some awkward slopes and angles was set up sometime in the 1930s and closed around 1960. 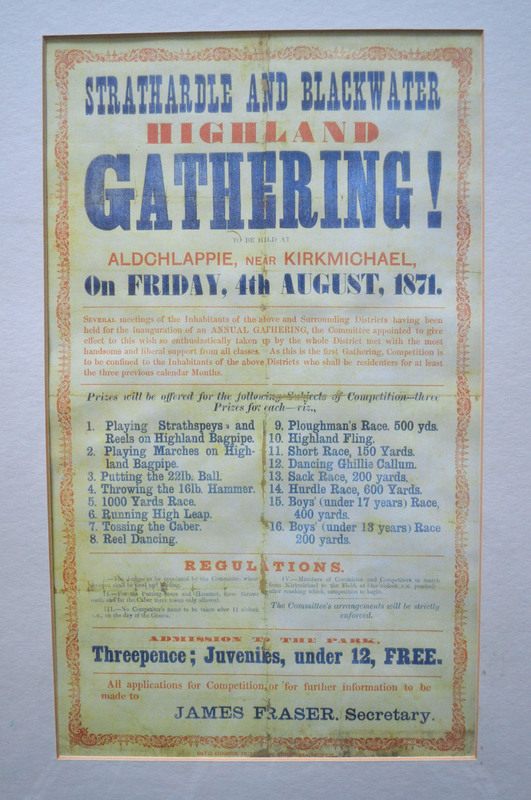 It was very popular with locals who competed fiercely in competitions and with the many visitors who spend summer holidays in the village. The job of greenkeeper was combined with hallkeeper for the Village Hall and as the green was indeed open from 10am until dusk and was always immaculately maintained was fairly time consuming. As children in 1950s we spend a lot of time on the green and yes our round did cost two old pennies which was less than one pence now. Two names I remember as adult club champions were Arthur Walker and Alistair Dow and as far as I remember the record score we all tried to beat was 34. There was also an associate tennis court but it must have fallen into disrepair during World War Two and around 1953 the Scout Hut was built on the old court.